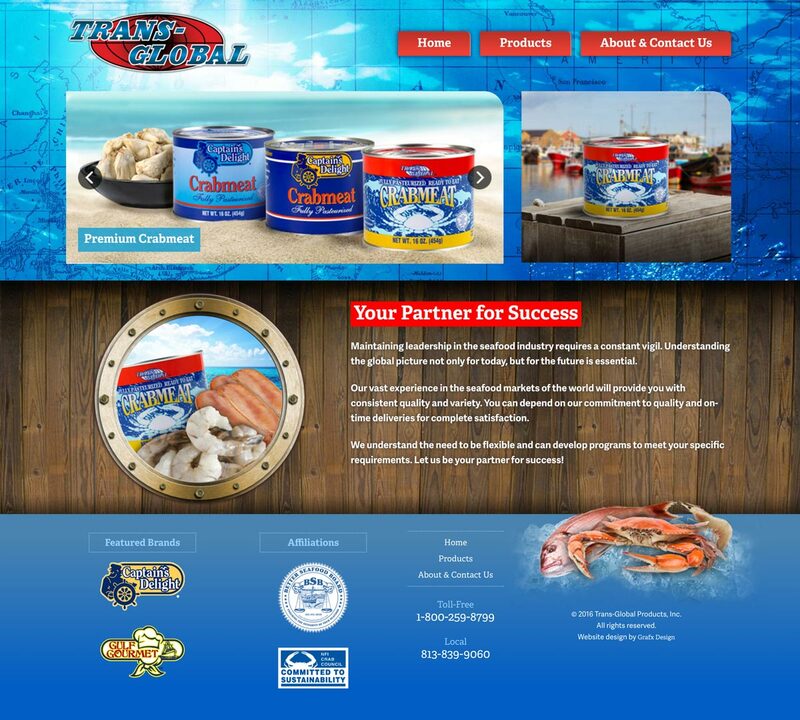 Grafx Design recently launched a new website for its client, Trans-Global Products. 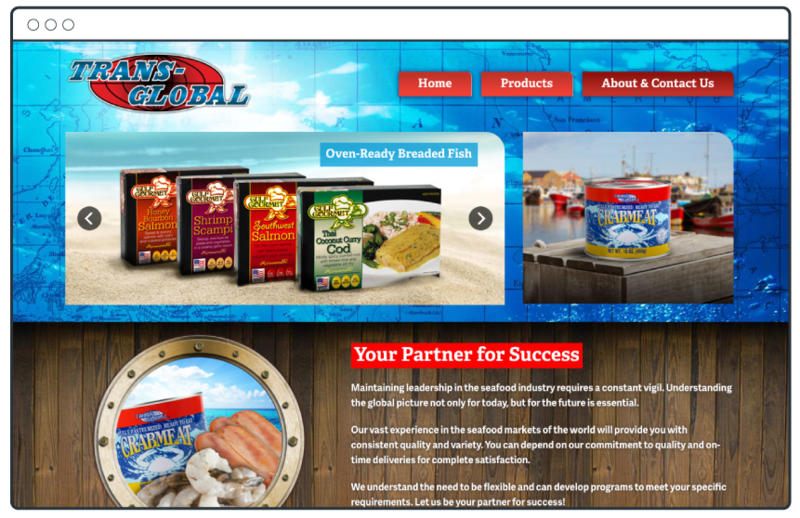 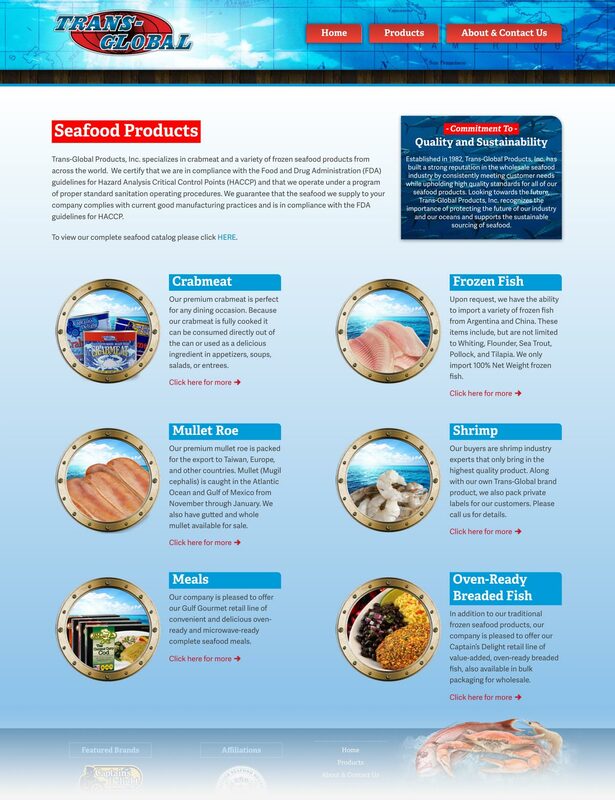 A Tampa-Based company, Trans-Global Products is a global importer and processor of specialty seafood products. 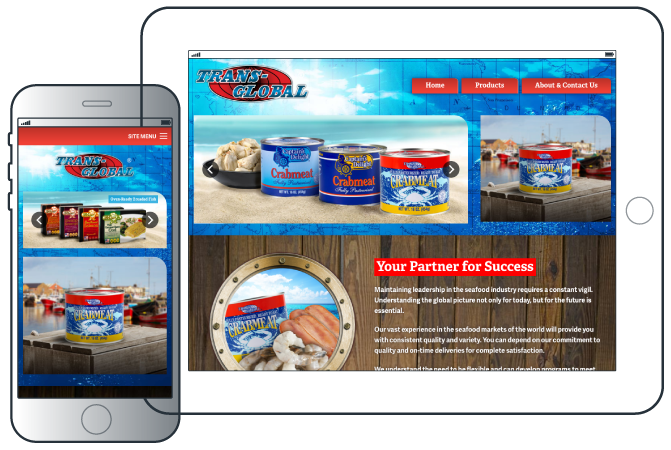 eaturing an updated brand look and responsive design, the new site showcases the company’s products in a fresh, straightforward style.